Dr Akin Ogunbiyi, a chieftain of the Peoples Democratic Party and founder of Idera de Movement in Osun State today joined friends and well wishers of Hon. Funsho Babarinde across the state to celebrate the exemplary leader of the party on his 50th birthday anniversary. 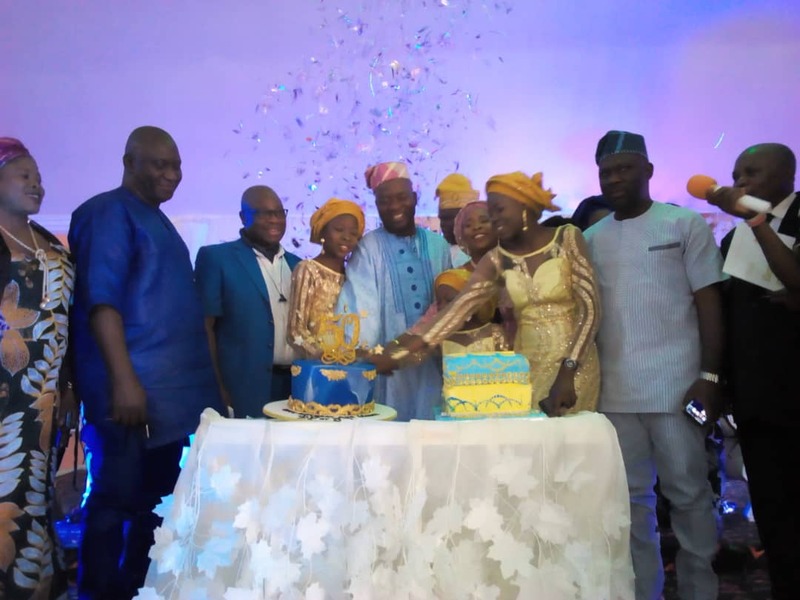 Speaking at the birthday party holding at Atlantis event center, Osogbo, the state capital, Ogunbiyi showered encomium on Hon. Funsho describing the celebrant as his spiritual father and highly committed personality. Testifying to Hon. Funsho's strength of character and uprightness, Ogunbiyi added, "my brother has come of age. We thank God for his life. We thank God for the solid 50 years in abundance grace of God." "He is my spiritual father. We belong to the same denomination. He is a prayer warrior per excellence. A strong believer in God." "When challenges came, he stood firm. He is reliable and indeed, a man who is trustworthy and can be trusted. He is extremely committed to excellence and positive results." Ogunbiyi after his heartwarming testimonial, also prayed God to continue to strengthen the revered PDP leader and his family, just as he wished him long life and prosperity.